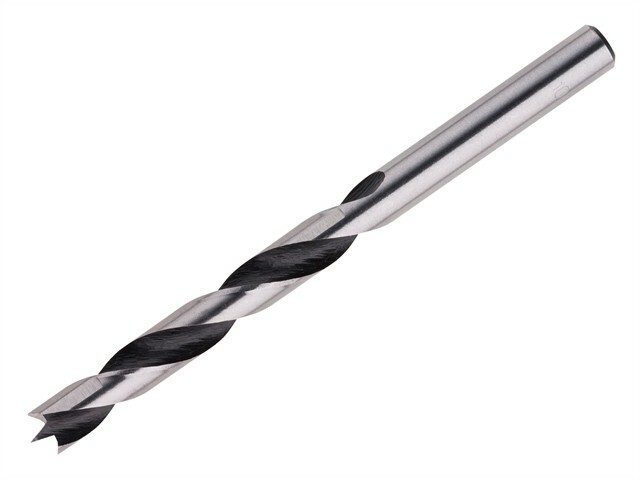 The Irwin Brad Point Drill Bits are specially designed for precision wood drilling, ideal for furniture and cabinet making. The centre point is for easy start up and the spurred cutting head is designed to reduce splintering and ensure smooth clean holes. The body is fully hardened for maximum wear resistance. They also have wide flutes which provide a fast, continuous flow of chips.